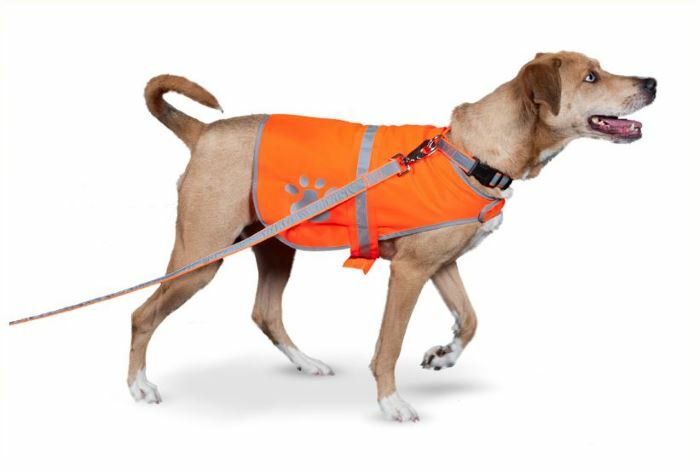 On the road, on the trail, on a hunt this highly visible Reflective Orange Dog Vest can be seen from over 500 feet away. 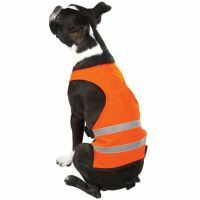 The vest is made of a fluorescent orange fabric, piped with a grey trim. 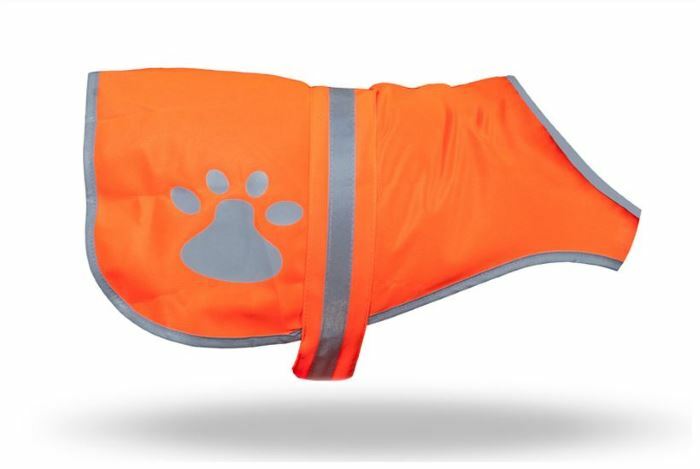 The Reflective Orange Dog Vest has two large reflective gray paw prints on each hip and a reflective strip across the back. Made of lightweight breathable nylon add has fully adjustable velcro fasteners. The vest is currently available in Size small only. Neck diameter 16.5” - 20.5”.